Value – Being a small business ourselves (3 employees), and providing services in an area of St. Louis that values cost containment and efficiency, we understand that our clients need professional services at an affordable rate. Therefore, we offer among the lowest hourly billing rates in the St. Louis area, and we work with our clients to eliminate any unnecessary billing. 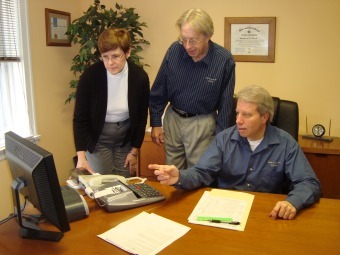 Experience – John and Matt Stark both worked with their father Harvey (the founder) for many years before his retirement, and between the two have over 60 years of experience serving St. Louis area individuals and small businesses with their accounting and tax needs, as well as dealing with various government agencies. If you are a client of Stark & Company, either John or Matt will principally or fully perform the services; both are members of the Missouri Society of Certified Public Accountants. Kathy Stark (Matt’s wife) adds a large CPA firm and industry background to our firm, for which she has worked for nearly 10 years. Flexibility - We provide services to a wide variety of small businesses (as well as individual returns from (relatively) straightforward to complex). Small businesses, even in extremely different fields of endeavor, have much more in common than a small business and large business in the same field. We assist our clients in setting up their business operation in the most favorable form (sole proprietorship, LLC, partnership, S Corp., C Corp., etc. ), assisting with employee benefits, retirement plans, etc. Most of our clients use computers and small business accounting packages (SAGE ©, QuickBooks ©, etc. ), but we have many that use a spreadsheet, manual books, or allow our firm to prepare their books on a monthly or less frequent basis. 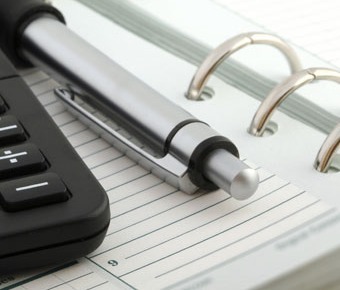 We prepare payroll & sales tax returns, various government licenses, etc. We encourage and assist in teaching our clients and their employees to perform as many of these tasks as they can competently perform themselves, but are ready and able to perform any small business task that isn’t performed by our client. Accessibility – Surprisingly, there are CPA firms in St. Louis that don’t have the responsible party available to speak with their clients, and don’t return phone calls promptly. When you call Stark & Company, John, Matt or Kathy will answer the phone, and we will answer your question or discuss your situation immediately if at all possible. If we happen to be out of the office we will communicate with you promptly, and if there is an immediate need we will service it, tax season or not. With a firm of our size you will always know and be able to contact the person who is handling your work. We appreciate the opportunity to work with you. We offer a free consultation for any potential new business client. Please call for details.